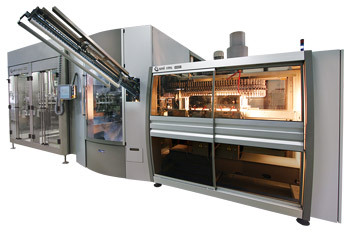 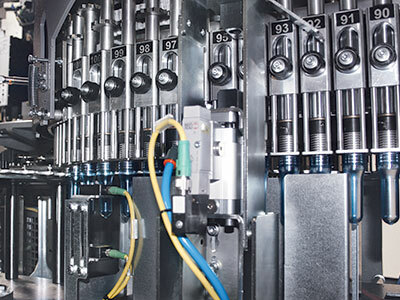 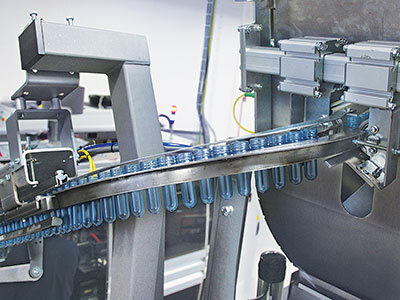 The integrated system of stretch-blow moulding, filling and capping of the ECOBLOC® ERGON LG-VMAG series combines the functions of a rotary stretch-blow moulder, of an electronic rotary filler and of a rotary capper. 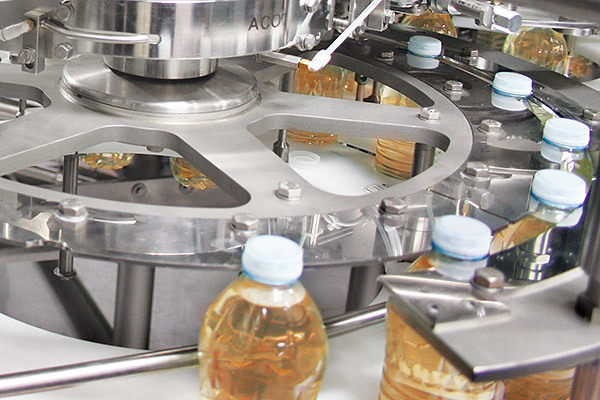 considerable reduction of line inefficiency causes. 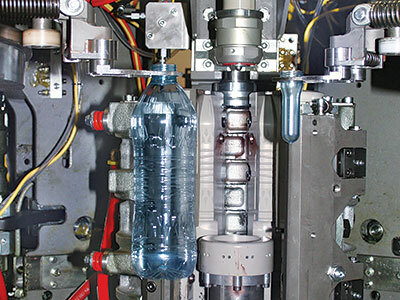 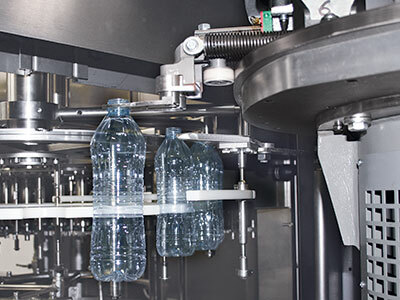 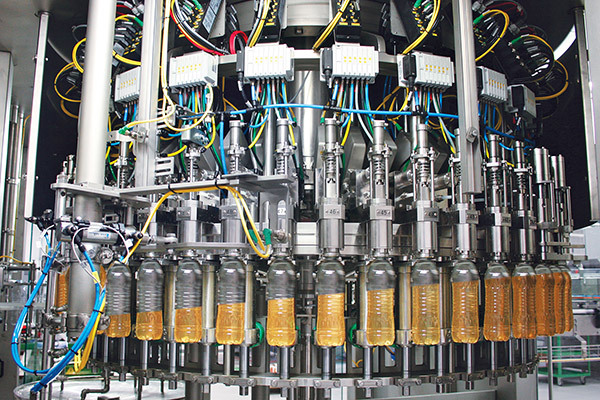 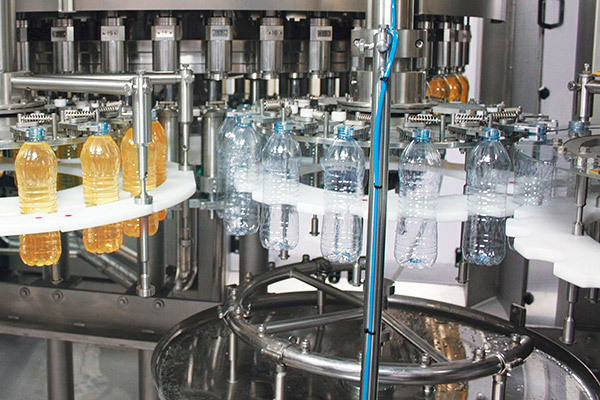 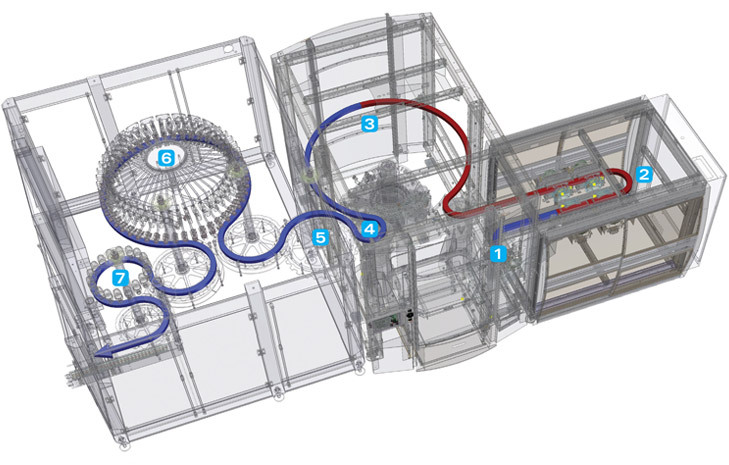 dummy bottle system, for CIP operations.